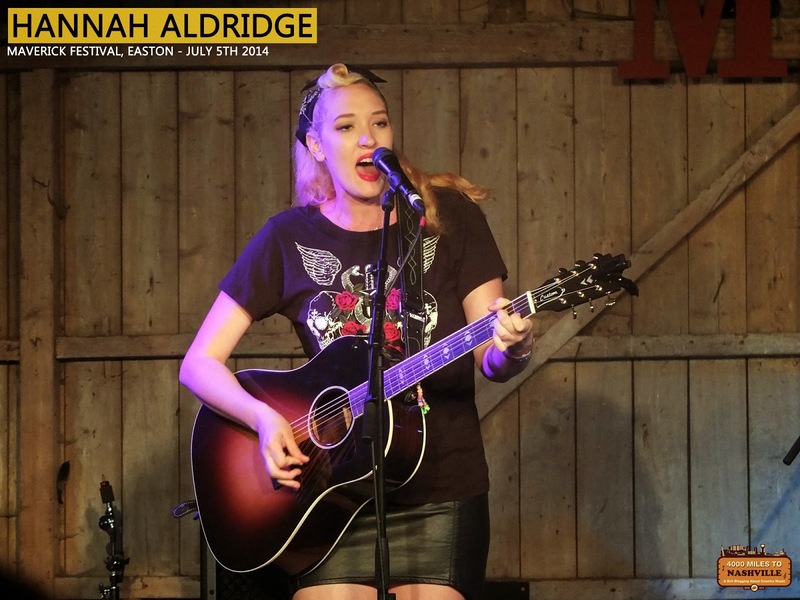 UK new 'country' duo The Shires have been presented with an unprecedented opportunity to make a well backed record that could take this modern genre of music in this country into unchartered territory. Formed a little over a year ago and now under the wing of Decca Records, the duo of Chrissie Rhodes and Ben Earle are being targeted at taking on the country pop wing of Nashville’s mainstream elite at their own game. In preparation for their upcoming debut album release, The Shires have undertaken a few UK dates to add some experience to the media adulation being bestowed upon them. As a consequence, the upstairs room at Birmingham’s established Institute venue was well attended with an audience intrigued to find out more about the band. 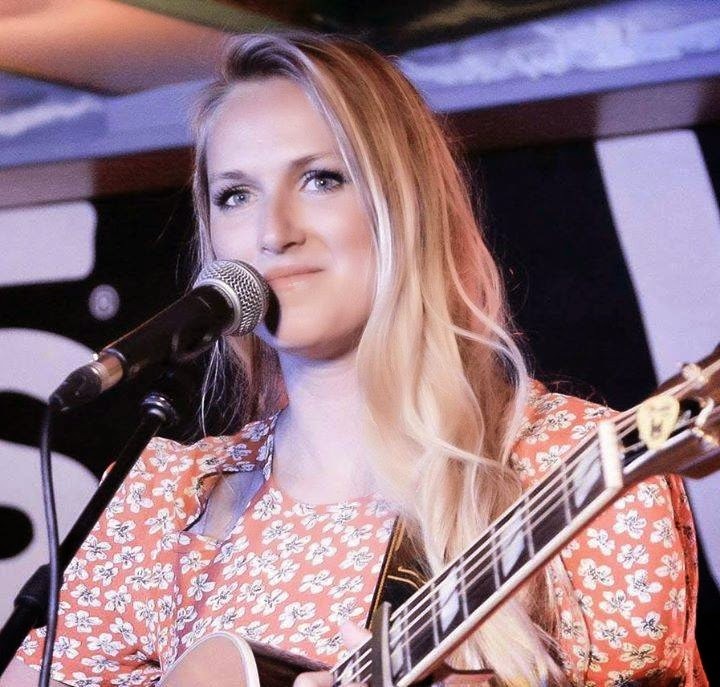 Opening up for The Shires on this short tour was young singer songwriter Frankie Davies who played an half hour set of acoustic driven country music with a slight edge and no little heart. There was a flicker of maturity in her performance which benefitted from an impressive vocal range, solid guitar playing and an enterprising enthusiasm for her music. 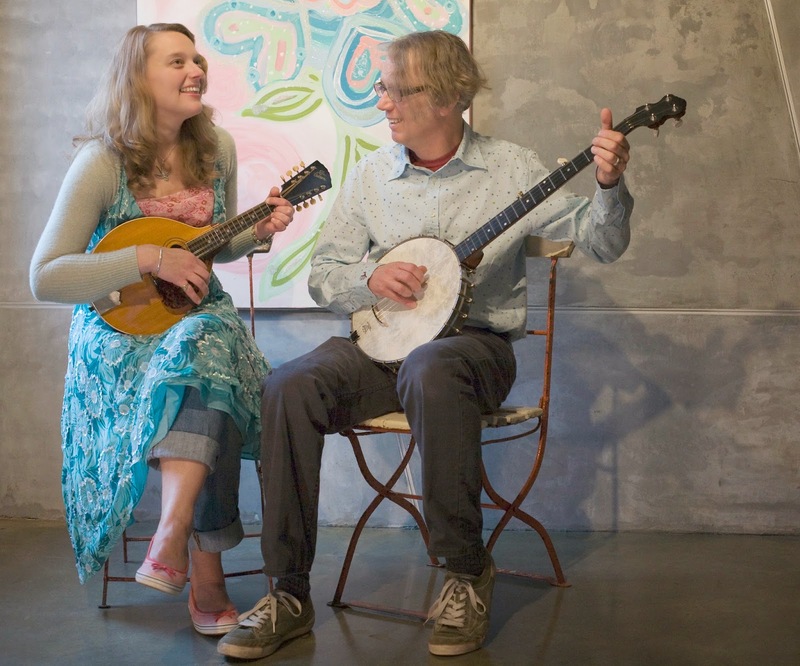 Not afraid from sharing the intimate inspiration for her art, Frankie struck the right chord for what is needed to interpret and tap into high quality country music. The moving ‘Superman’ is her current framed gift to the music world and this was well supported on the evening by a song recalled to be ‘High Love’ and the excellent ‘Dancing All Night’. Perhaps it was the commitment after several years to conquer the ‘Highwayman’ and play this iconic song live which more than most showed Frankie’s intent to make inroads on the country music circuit. 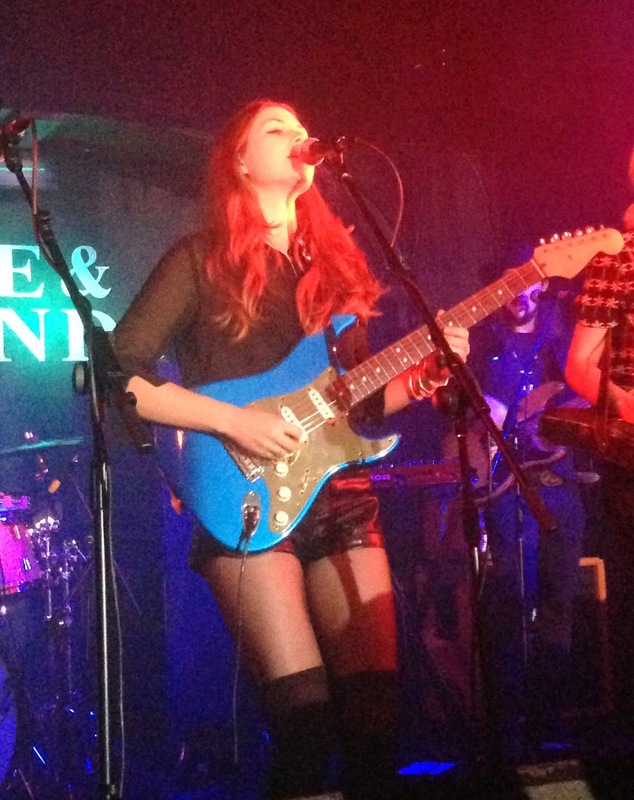 Chrissie and Ben are not short of experience in their individual music endeavours and they have to quickly draw on this to match the pace of their rapid evolution as The Shires. The hour long set they played in Birmingham was packed with original material that weaved in a host of personal inspiration alongside designated strategically targeted material. The vocals of Chrissie are highly suited to the style of music being desired as she can effortlessly move into power mode. Ben is a determined songwriter who is at ease delivering his songs both from guitar and keyboards. Of the two singles released to date, and obviously both featured in the set, ‘Tonight’ outshone ‘Nashville Under Grey Skies’ and one can envisage the day when a backing band takes the live rendition of the former into a higher stratosphere than the Institute’s Temple room. While you feel the numbers ‘Made in England’, ‘Stateline’ and their take on the country staple of drinking whiskey are a little contrived, there is an enormous depth of sincerity to ‘I Just Wanna Love You’, ‘Black and White’ and a song belatedly added to the set list believed to be ‘Only Midnight’. With a determination to steer clear of country covers and develop a reputation as a strong song writing duo, the couple only strayed into the works of others for their solitary encore number and strikingly stripped down Candi Staton’s dance classic ‘Young Hearts Run Free’ to a slow acoustic ballad. With the new album out soon, the wait will almost be over to see if The Shires can meet the lofty ideals of those prepared to invest in their talents. As a duo, they haven’t had the benefit of a serious grounding via a heap of career shaping gigs and soul searching indie releases but they have the chance of a lifetime to fulfil their individual personal goals of making waves in the music industry. There can be a fine line at the point where country and Americana music merge into a straightforward mainstream rock sound. 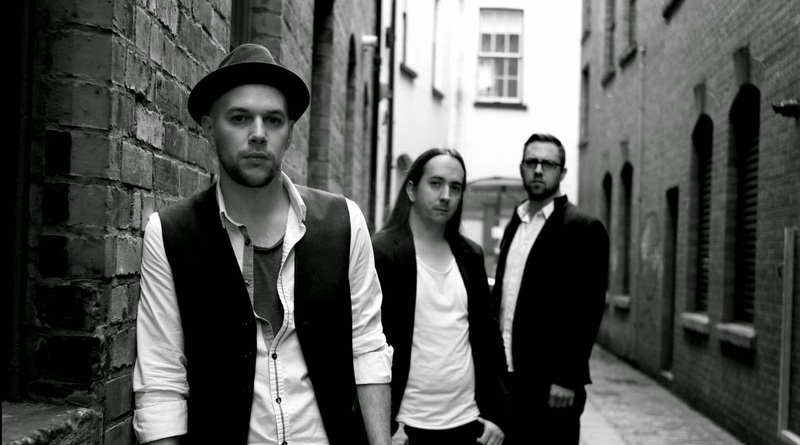 Belfast based band The Rising have demonstrated knowing its precise location and suitably positioned their album to pitch to listeners from those genres rather than the minefield of bland radio fodder. Make no mistake COMING HOME is a belt and braces rock album full of crashing guitars, riffs and solos but it also toys with some of the sounds emanating from Nashville’s stadium crop and the more indie elements that fuel the alt country music scene. The intention behind this release was to adopt a more roots rock stance leading to guitarist Chris Logan adding banjo and mandolin to his armoury, although their influence can be a touch tricky to detect. What are undeniable are the raw passion, energy and integrity that exists within the ten songs that race along at a breathless pace. The Rising are effectively a slimmed down version of a deceased band formerly known as Exit with vocalist Tristan Harris and bassist Andy Morgan joining Logan to complete the trio. The band hasn’t lost the knack of pursuing airplay with a rousing chorus attaching itself to the lead off track ‘Calling You’. However there are more substantial moments on the album such as the angry vocals bringing ‘Break the Chains’ to life and the more melodic ‘City by the Sea’. Although the stand out track ‘Highway to the Lost and Found’ possesses all the drive and emotion of new wave with more than a passing resemblance to Jason and the Scorchers firing on all cylinders. The Nashville effect is in evidence on the track ‘Still Coming Home to You’ which is very much in the same vein sound wise as Keith Urban. As Music City was one of the recording locations alongside Los Angeles and Belfast, this is unsurprising but probably a result of working with Grammy Award winning engineer Hank Williams who numbers Urban amongst his clients. The press release is quick to namecheck Springsteen but there are definite traces of late 80s U2 in the backbeat to ‘Dreaming & Scheming’. The final four tracks on the album never quite reach the same heights as the opening half a dozen as they occasionally wander into classic rock territory and some of the raw energy is lost. ‘Shadows on the Wall’ is probably the pick of this segment as the album switches to stadium and festival mode with the finale of ‘Return to the Moon’ especially skirting epic status. 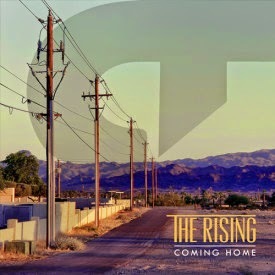 COMING HOME by The Rising is a record that appears to have accomplished its objectives in the making. The challenge is now to engage the music listening public whose tastes are ready to savour this brand of rock music. 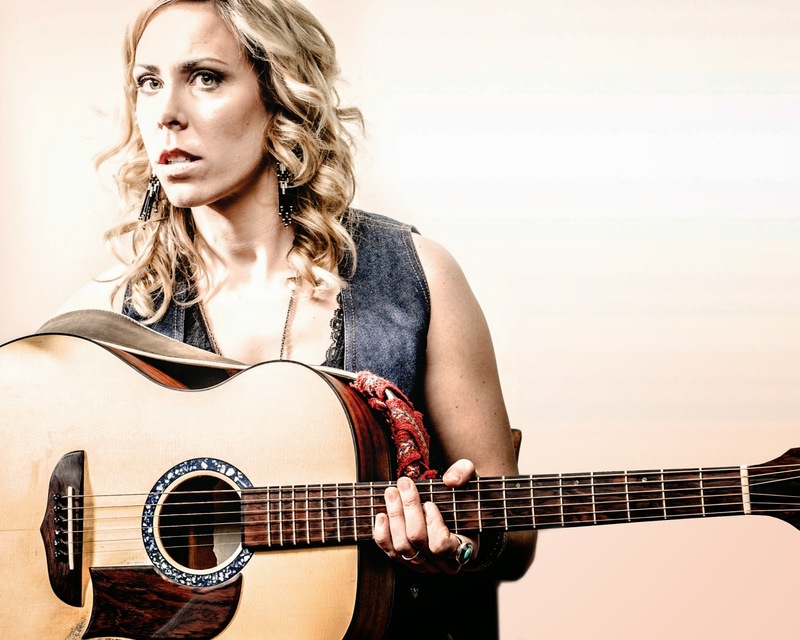 Many from the country, roots and Americana genre who are ready to push boundaries in their listening habits will find merit in the release whether they seek a straightforward guitar bashing sound or something with a little more edge. 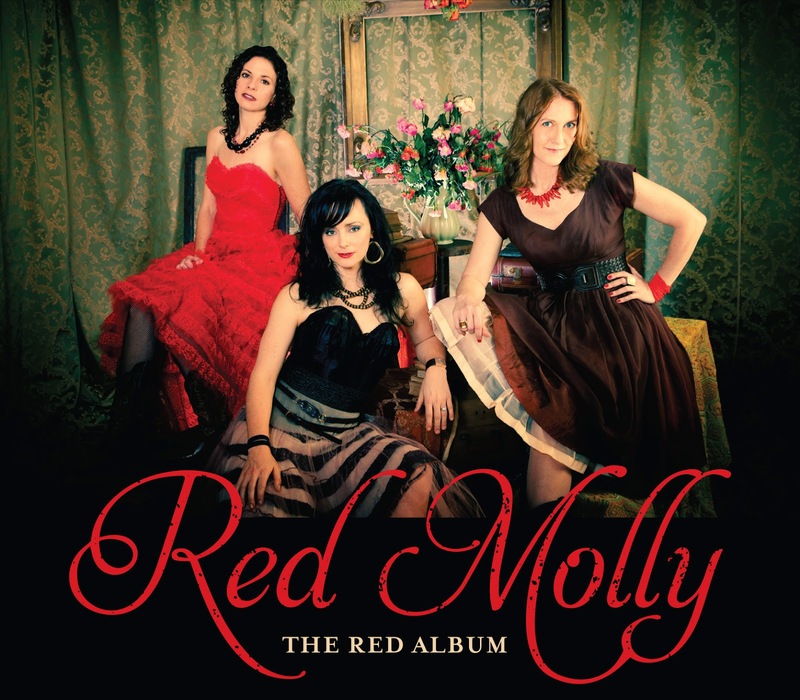 The Americana genre could well have evolved out of THE RED ALBUM by Red Molly. This potpourri of American roots music is wonderfully sang, exquisitely played and superbly assembled. It strikingly disproves the theory that different styles can be accommodated without being mastered. Listen carefully, which is mandatory, and influences of blues, rock, soul, jazz, country, folk, gospel and pop can be detected, all capturing the true spirit of Americana. 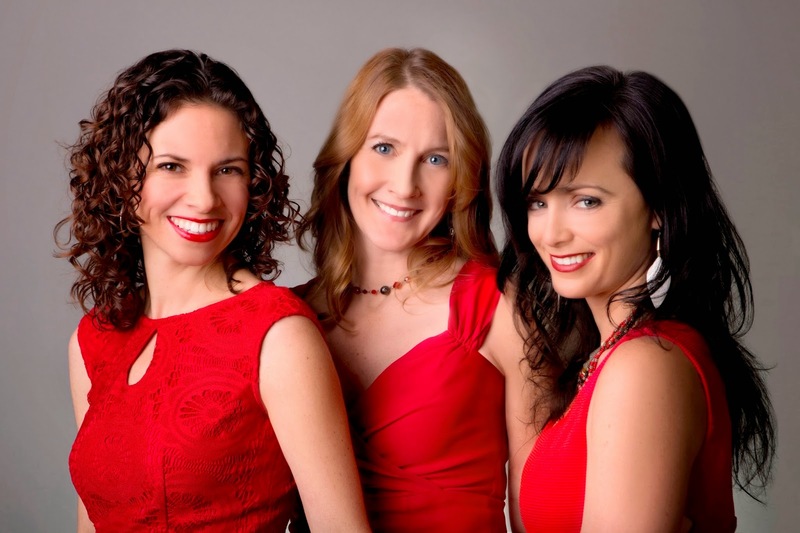 Red Molly has been in existence for ten years with the present trio being in place since 2010 when Molly Venter (guitar) joined Laurie MacAllister (bass) and Abbie Gardner (dobro). This latest release hit their home stateside market in late spring and gets its formal UK introduction on August 25. The added bonus for old and new fans alike is that the band are due to make their inaugural UK visit in October for a series of live dates and seal this welcome expansion into our market. Produced in Nashville under the guidance of former Wilco and Uncle Tupelo drummer Ken Coomer, the girls have settled on a winning formula of eight originals and five covers of which the self writes match up exceedingly well against the more established numbers. The two most recognisable covers reflect the different ends of the folk spectrum as the works of Richard Thompson and Simon and Garfunkel are celebrated. Their version of ‘1952 Vincent Black Lightning’ is long overdue for a band basing their name on a character from the lyrics and the bluegrass makeover with a stunning dobro intro does this destiny song full justice. ‘Homeward Bound’ is a conservative song to cover but a slight pause on the main chorus line and gorgeous vocals give this version credibility. Rather than dwell too much on the excellent covers, let’s focus more on the originals which have primarily come from the pen of Molly and Abbie. 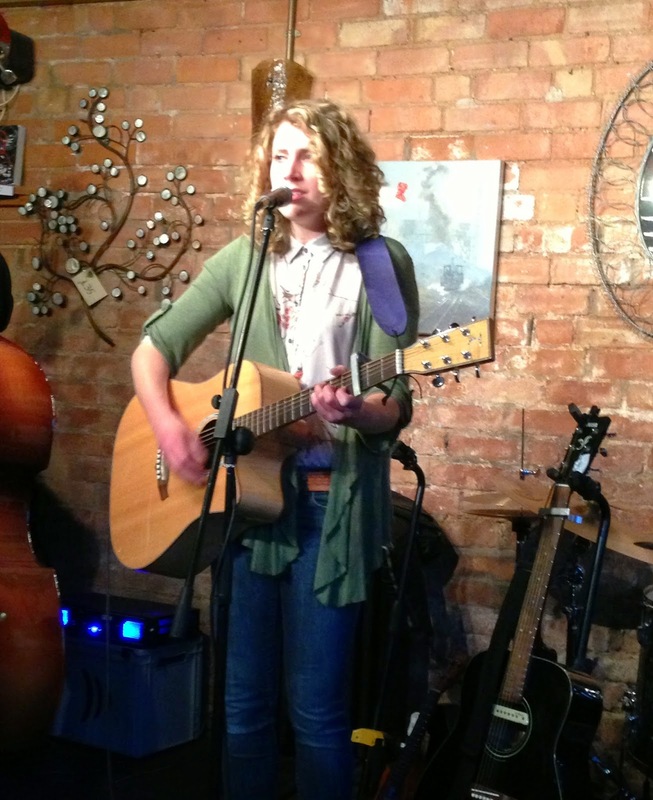 The record contains a pair of fantastic songs Abbie has written on the back of the Real Women-Real Songs project. ‘You Don’t Have The Heart For It’ is the Red Molly take on classic country and with stellar pedal steel, this tear jerker works to a tee. ‘Lay Your Burden Down’ is the other track, with a gospel flavour and inspirational qualities. 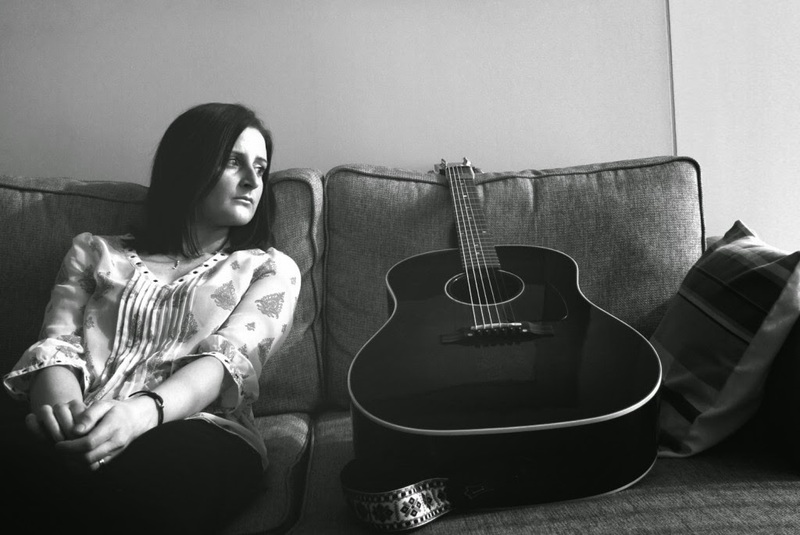 Molly herself excels on three solo writing contributions including the rock n’ soul sounding ‘My Baby Loves Me’, ‘I Am Listening’ with its indie pop vibes and the tender harmonious ballad ‘Sing To Me’. 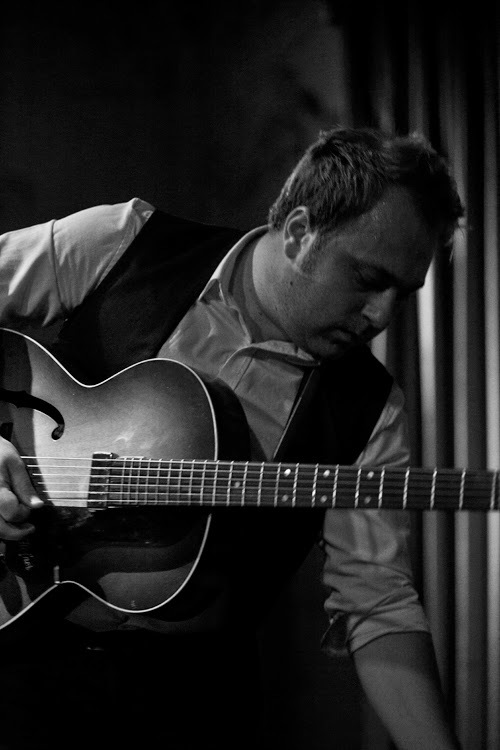 Several other key artists in the Americana world feature in the writing with Jonathon Byrd teaming up with Abbie to pen the jazzy blues sassy number ‘When It’s All Wrong’, while the Mark Erelli song ‘Pretend’ has all the show time trappings complete with brass. 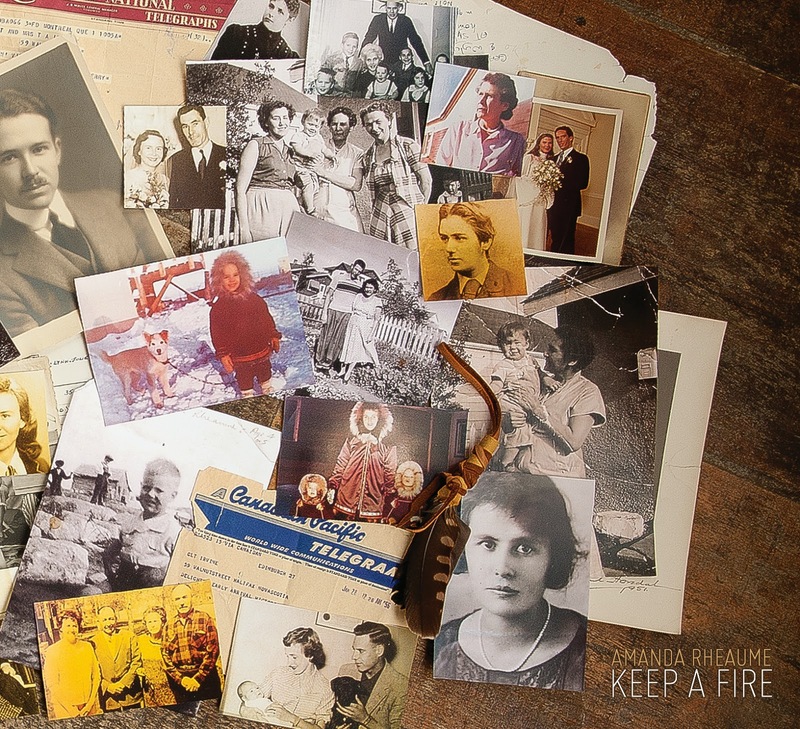 You won’t go far wrong with the inclusion of a Daryl Scott song and, with its excellent guitar accompaniment and folk Americana sound, ‘With a Memory Like Mine’ creates its own niche on the record. Hopefully by now the flavours of this record are starting to fill the air and the final three tracks to mention each make their own mark on the album. 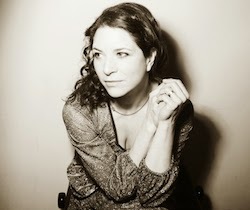 ‘Willow Tree’ is a co-write between Molly and Eben Pariser while another gospel influenced song opens the album in the A.J. 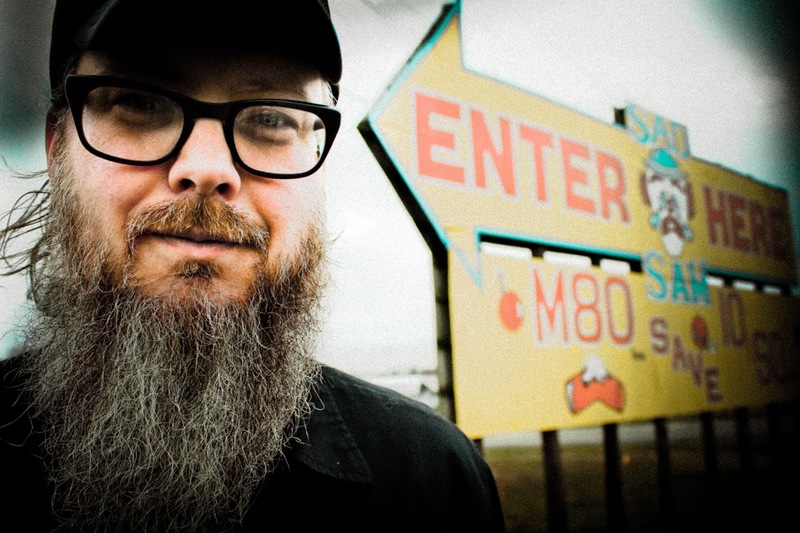 Roach penned ‘Clinch River Blues’. Just when you think that the ‘a cappella’ style has been left out, the girls ditch the instruments for the final song and let their harmonies drool over ‘Copper Ponies’. The excellent sleeve notes accompanying this release really help you understand what Red Molly are all about and extensive listens to THE RED ALBUM confirm why they are held in such esteem back in the US. This record is a joy to be acquainted with and the band’s long overdue venture into the UK market will be one of the autumn highlights. Although the name Vena Portae is new, it barely took a few bars into the first song to recognise the distinctive vocals of Emily Barker. Not wanting to confine herself to a solitary project, Emily has temporarily put the Red Clay Halo Band on one side for a short period to concentrate on this collaboration described in its press release as an ‘Anglo Swedish alt-folk band’. This self-titled debut album is an explorative effort full of melodious moments, beautifully sung and underpinned by a strong roots sound. 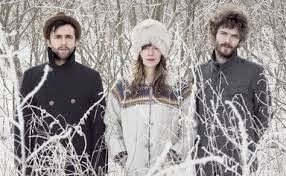 The evocative album cover and recording in a Swedish winter location suggested an element of darkness to reflect the harshness of the environment but this is a far from noir sound as a breezy thread weaves the refined folk sentiments with a concoction of roots infused instruments. The opening lead track and single ‘Summer Kills’ succeeds in endearing your musical senses, sets the tone for a record which demands attention and is a subtle link to the Americana vibes Emily captured so well on her acclaimed DEAR RIVER album. 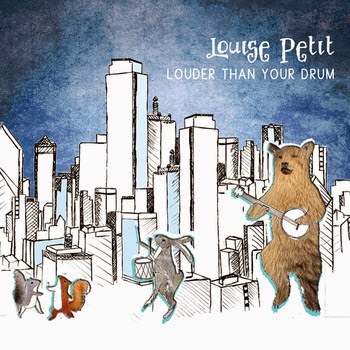 The soothing brass sound of trumpet adorns the opening track and later competes with a multitude of other instruments ranging from banjo, piano, guitars and traces of blues laced harmonica. This latter sound appears on the slightly upbeat second track ‘Before the Winter Came’ which lightens the mood with some engaging interludes. At this point it is polite to introduce the architects of the Vena Portae project which include British songwriter-theatre maker Dom Coyote and acclaimed Swedish artist Ruben Engzell. Emily herself now has very strong UK roots since her formative years spent in Australia and is quite content to share the vocals across the album in contrast to her previous solo and band projects. Without doing disservice to the gents, the strength of the album is erected on a pair of contrasting mid record tracks in ‘Transatlantic’ and ‘Flames and Fury’, both graced by Emily’s vocals. 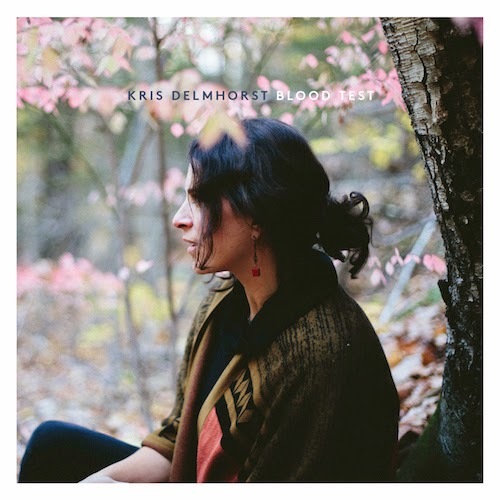 The former is a subtle, intrinsic number mixing harmonica and banjo, while the latter has a far more dominant vocal presence almost matching the mood of the title. The mellow undercurrents on this debut self-titled album stem from the soft male vocals especially on ‘Solitary Wives’ and the duet with Christian Kjellvander on the final track ‘All Will Be Well’. 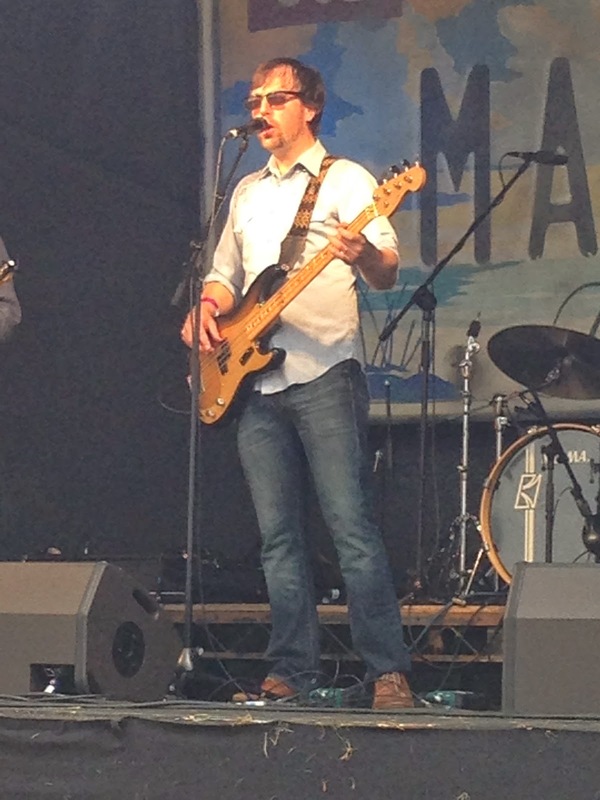 Christian also appears on the nautical folk induced number ‘The Mapless Sea’ while a similar style prevails on the duet ‘Magpie’s Carol’. Of the remaining tracks ‘Foal’ possesses a good beat and an excellent harmony approach to the song, while the banjo gives a roots feel to ‘Stingrays’. ‘Turning Key’ completes this eleven track compilation with more folk sensibilities but always positioning itself on the alt side of the genre. Emily’s strong commitment to touring is extended to Vena Portae and as soon as the record is released the band hit the UK for several late summer dates at some of our more refined listening venues including the Union Music Store, Square Tower, Green Note and Kitchen Garden Café. The anticipated addition of Jesper Jonsson on percussion makes the live listening of this album an even more enticing experience. The Red Clay Halo are back on the road later in the autumn but there is no more rewarding moment than letting the sweet acoustic drift of Vena Portae submerge your senses and spending a little time endorsing this project. 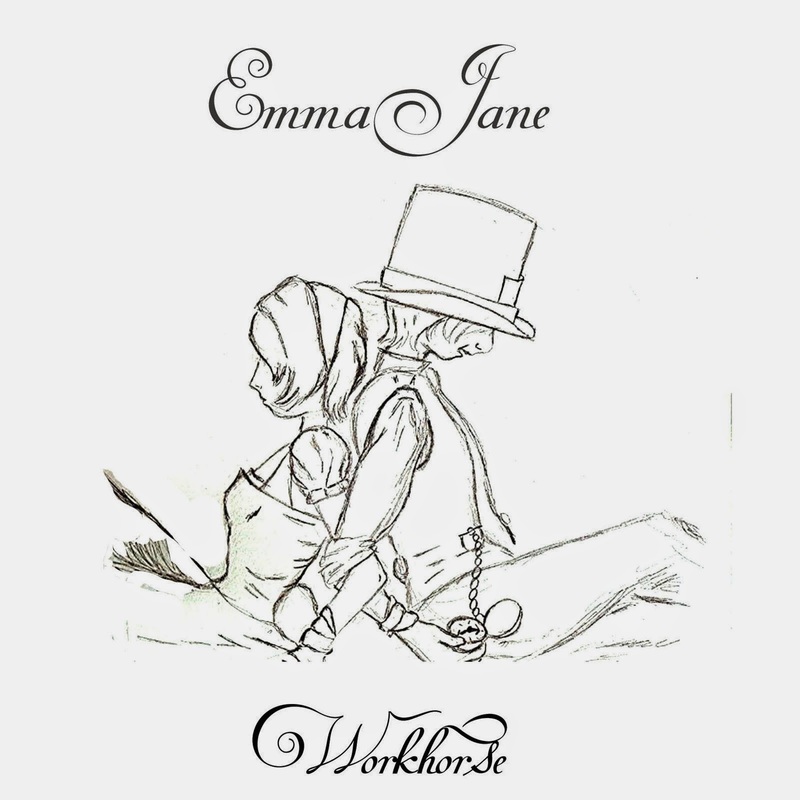 For somebody who recorded such an inspirational song in ‘Sunday, Monday Blues’ back in the summer of 2012, every subsequent Emma Jane release has to match up to this standard from a personal perspective. Since then a publishing deal has been secured along with some movement in the American market as Emma Jane started to guide her music in a more country direction. 2013’s EP release SILVER STREETS initially followed up her debut full length album PENILEE SONGS and she has further cemented her sound in this sphere with her latest recording WORKHORSE. The title could well sum up the character of an independent artist who undertakes most of the record making duties right from writing though to doing the PR. 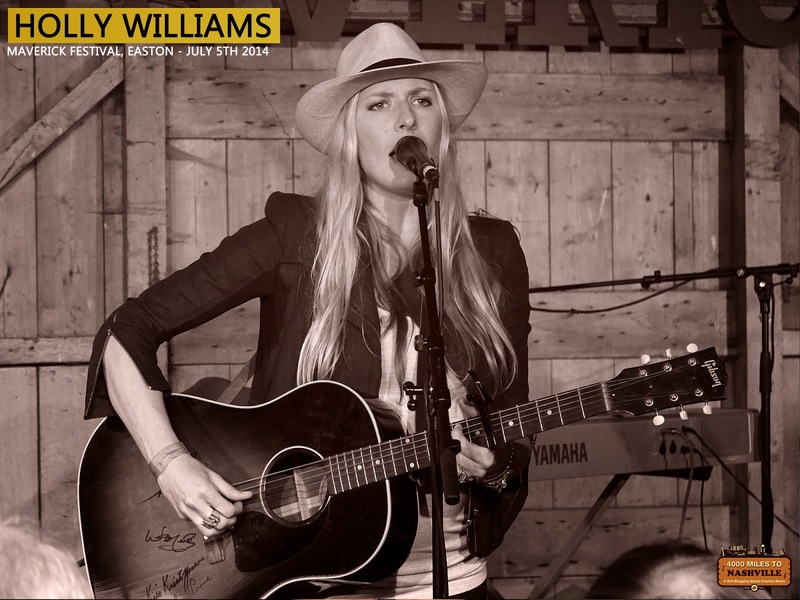 Funds have probably limited this release to seven tracks but this doesn’t diminish the quality as Emma Jane continues to cultivate a unique UK take on the country, roots and Americana genre. Her vocals are the main contributors to this stance as their slightly worn effect perfectly matches the blues tinge to her music and owns the mood of the songs. 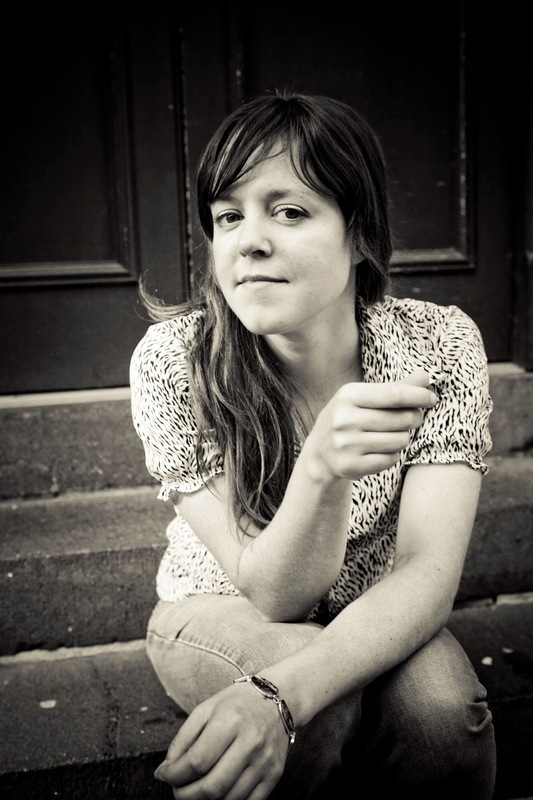 Along with partner Iain McKinnon, who wrote the lyrics to the more sombre number ‘Unforgiven’, Emma Jane has recorded a set of songs that owe more to the western extremities of Tennessee with a Sun-styled rock n’ roll beat driving the sound. Add in traces of soulful keys and a sparsely recorded gospel-like closing piece to stir in more southern flavours, and you start to further visualise the journey Emma Jane is undertaking without losing sight of her Glasgow roots. Ears are initially drawn to her self-confessed personally inspired track ‘Carter Cash’ and she is certainly not the first to interweave this iconic couple into a song which rolls along to a guitar driven beat and stakes a case as the record’s standout track. On the topic of musical pairings, Emma Jane has teamed up with fellow Scottish performer Sean C. Kennedy to record a straight down the line country duet ‘Old and Grey’ which romantically explores the notion of eternal love. The track where Emma Jane successful nails the art of searching for that striking chorus melody formula is ‘Delicate Minds’, also one of the album’s deeper songs that searches for guidance. The opening track ‘Run’ launches the record with a dose of twang as Emma Jane puts down an early marker of what sound she wants to define this phase of her career. Although describing this as a fun number in her song notes, Emma Jane has quickly drawn you into her mode of an infectious beat and the search for a killer chorus. ‘Tunnels’ carries on a similar vein without meeting the same chorus highs as the other tracks. The surprise closer ‘Hold On’ with its simple production and strong message gives the record that raw feel essential to any release with a roots claim. One development that we are still waiting for from Emma Jane is a wider live presence around the UK with more expansion from her present South East base. While the practicalities may be challenging, the rewards will surely surface. In the meantime the good news is WORKHORSE does evidence progression and while that memorable tune from the summer of 2012 is forever ingrained in my mind, the future remains positive for an artist able to put a personal imprint of the country, roots and Americana genre. The name may not be familiar but a solitary listen to SHADOWBIRDS is all you need to be put under the hypnotic spell of Red Sky July. Dig a little deeper and the trio behind the band will reveal their talents and you can start to understand why they have just put together a record that could well be unrivalled as the best 2014 UK release heavily slanted towards the country and roots genre. With an optimum length of 10 tracks and 38 minutes, not a second is wasted as the album leads you down a blissful path of heartfelt emotion whilst tipping its hat to the core essence of Americana music. Before we celebrate the finesse of each track, let's unveil the prestigious background to the trio starting with Ally McErlaine who was at the heart of the Scottish band Texas’s 15 million record sales followed closely by his wife, Shelly, one half of 90s million selling pop act Alisha’s Attic. The trio is completed by Charity Hair who includes The Alice Band and Blur’s Dave Rowntree in her musical CV. 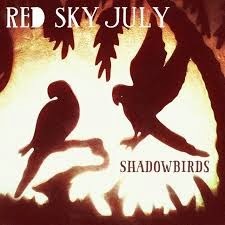 Together the Red Sky July project has had some industry doors opened for it but real momentum can develop as SHADOWBIRDS follows up a 2011 debut release. Whilst from top to bottom the album is soaked in a country sound swinging from all points alt to Americana, the elegant drizzle of minor, and not to be unexpected, pop/rock, only adds to this amalgam of sartorial elegance. From the very start where the band have eyed some mainstream coverage with the breezy single ‘Lay Down Your Love’ through to the dark and broody closer ‘Solitary Woman’ the vibes of appreciation continually grow. The enchanting qualities begin to really kick in with the second track ‘Here Then Gone’ packed with aching sensibilities and an upward spiral that refuses to retract. The blended voices and country guitar twang illuminate ‘Losing You’ which references listening to Bonnie Prince Billy, the American singer songwriter not to be confused with the historical figure of Ally’s homeland. ‘Made for Each Other’ is a sensitivity inspired love song drenched in choral elegance which leads into the moving and jaw dropping track ‘New Morning Light’, a serious candidate for stand out song if one’s arm is twisted. On the sixth track which could be ‘Side 2 Track 1’ if this album gets a deserved vinyl release, the band showcase a very roots orientated sound with a slow backbeat and graceful fiddle giving ‘Renegade’ a back to basics feel. The band have invited Anglo Italian artist Jack Savoretti to contribute to the writing and duet vocals on the classy ‘Any Day Now’ with the smooth effect you would expect from Jack. To complete a record that never drops its guard, a swirling dreamy folk feel surrounds title track ‘Shadowbirds’ while there are significant hoedown vibes to the fiddle adorned bubbly optimistic number ‘Warm My Heart’. Throughout each song Ally and his accompanying pack of Glasgow based musicians serenade and guide the wonderful vocals of Shelly and Charity which are both sublime and divine. Red Sky July started the year playing support to Beth Nielsen Chapman on her UK tour and could well end it headlining with one of their own to take this excellent record on the road. SHADOWBIRDS may be a left field entrant to the race for the Best of 2014 but it is usually now when the heat is turned up. This album has unlimited potential and has certainly put a marker down as a contender. It was only a matter of time until Nashville spread their net from promoting contemporary country music in the UK to look a little deeper into what home grown promise there is. 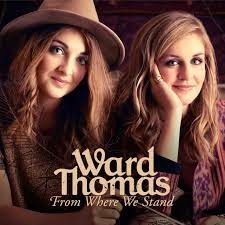 While it is far from unique for a UK act to have their sights on country music stardom, Ward Thomas have come up with a package that matches up well with its similar styled output from Music City. Make no mistake this is unabated country pop done well and the siblings have hit on a formula which will give them every chance of exploiting their target markets. The size of the home market is yet to be determined but ambition is high that the mainstream can be permeated by national radio airplay. This would be a great shot in the arm for the genre in the UK as FROM WHERE WE STAND has sufficient country merit to distance itself from the run of the mill chart mediocrity. 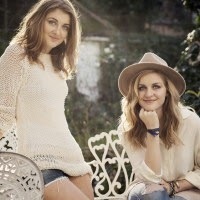 Barely out of their teens, the twins Catherine and Lizzy from rural Hampshire, clearly understand where their influences lie and the direction they want to take their music in. Obviously the record has had a huge boost by being produced under the guidance of Chris Rodriguez and Bobby Blazier, both Nasvhille luminaries. The result is a fresh and spritely bunch of tunes showcasing Ward Thomas as no mere pretenders. Of course there are work in progress elements to Ward Thomas and one of these is being rectified by hitting the road with a load of live dates. Perhaps a Maverick Festival appearance sandwiched between a host of hardened Americana acts highlighted an element of inexperience and a little on the light side but subsequent plays of their debut album reveal a talent to build on this and a subtle diversity to their music. A recent EP release proved to be a tantalising taster before this 12 track 50 minute record hits the market. All four featured songs on the EP make the album including an interesting cover, ‘Caledonia’ by veteran Scottish folk performer Dougie MacLean. As you would expect from an album with such pretensions there are a number of brash pop songs designed to engage a wider audience but I prefer to home in on three tracks which highlight a more substantial side of their talents. 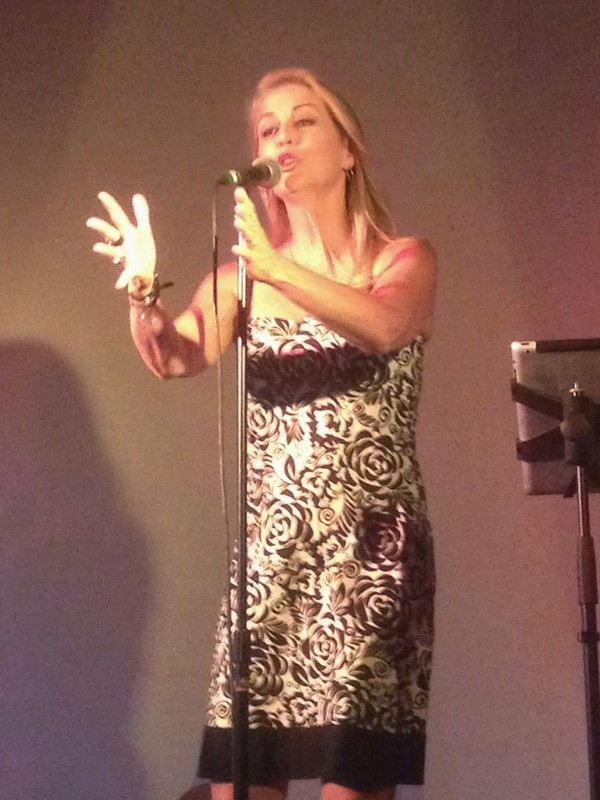 ‘Wasted Words’ is the stand out track from my perspective, mixing harmony vocals with a hint of mandolin, steel and fiddle to reach out across the country divide. 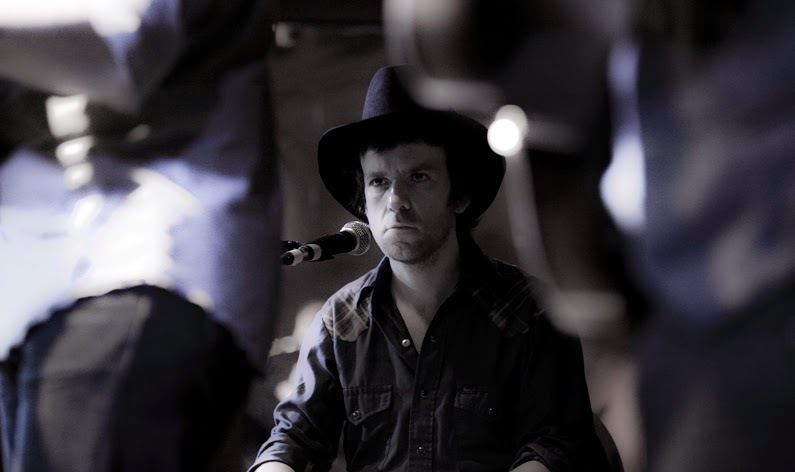 Following closely behind are a raucous piano led honky tonk belter ‘Town Called Ugely’ which rattles along with a considerable beat and a passionate emotional ballad ‘From Where I Stand’. The latter sees the album title revert to the individual personal pronoun to give the topic of their parents’ divorce a more poignant angle. 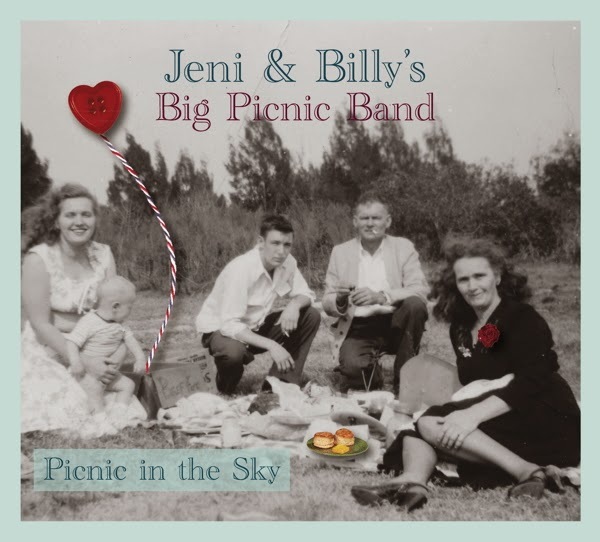 Piano, pedal steel and an uplifting guitar solo grace this track that captures the pain of the moment, a not uncommon trait of real heart stricken country music. These three tracks are the real gems of an album not unexpectedly wrapped in a combination of up tempo radio friendly numbers including the safe flagship songs ‘Push the Stride’ and ‘The Good and the Right’. Of the album’s lighter side, I have more of a leaning towards ‘Guest List’ with its unashamed tilt towards the works of Taylor Swift and Carrie Underwood as does the nostalgic anthem qualities to ‘Way Back When’, if nostalgia is allowed for someone so young! It is to the album’s credit that the four remaining tracks ‘Footnotes (Happy Ending)’, ‘Try’ ‘Company’ and ‘Take That Train’ never give the impression that the record is being filled or scrambling around for songs without really hitting the peaks of the classier parts. 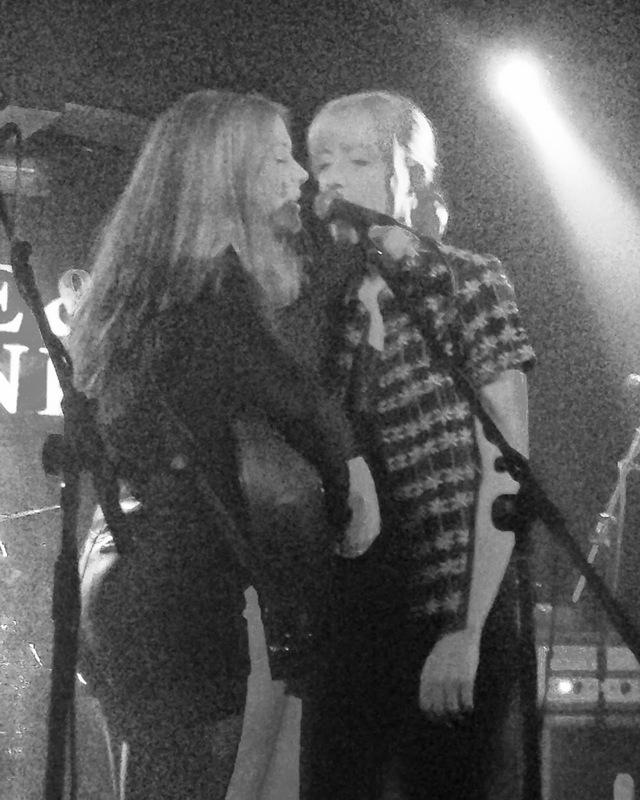 Whether Catherine and Lizzy subsequently major on their song writing, vocal capabilities or musical arrangement, they have announced their arrival on the music scene with a record full of all three qualities. FROM WHERE WE STAND will find its own niche in the market and Ward Thomas are set to make their mark on the UK country music scene, perhaps a little wider in prevailing circumstances. 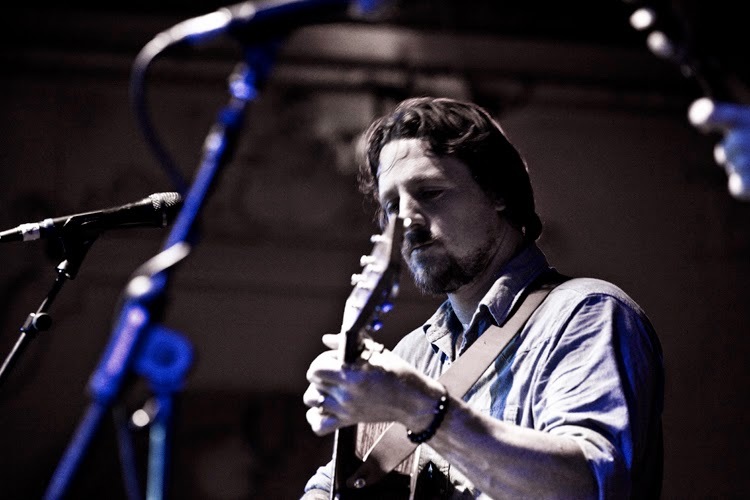 Otis Gibbs is a regular visitor to the UK and will always guarantee you a good show. He has been a firm favourite of mine since first seeing him hold court at the Big Sessions Festival in Leicester in 2009. A subsequent duet with Billy Bragg on the Gram Parsons' classic 'Sin City' at that festival further cemented his status and the five most recent albums are a brimful collection of wonderful observational tales. 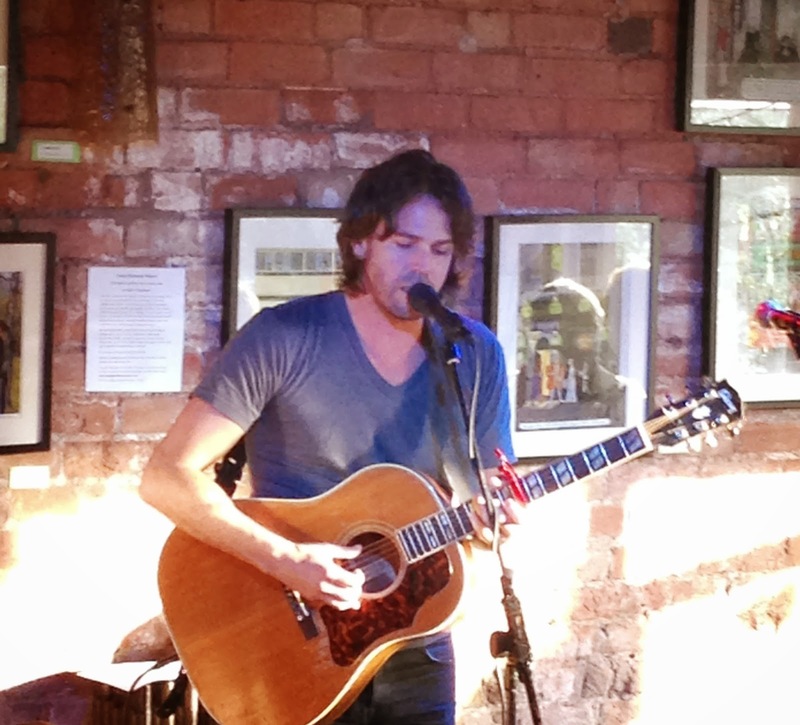 Needless to say his Birmingham show at the Kitchen Garden Cafe matched the blueprint that has set the high standards and he acquired many new fans who were seeing him for the first time. Having reviewed Otis on countess occasions, this time I would like to predominantly share some of the music played on the night to tempt a few more people to seek out the wise man of Wanamaker Indiana coming to you via East Nashville and a listening venue near your town. Second Chance: Never Enough: Where Only The Graves Are Real: It Was A Train: Back In My Day Blues: Plus an unknown cover dug out for a Bob Harris session. Joe Hill's Ashes: Beto Junction: Caroline: Aint' Nothing Special: Something More: The Town That Killed Kennedy: The Darker Side of Me: Long Black Thunder. There is so much more that can be said about Otis Gibbs but it would be better if you checked him out yourselves. The following three links are great starting points and then you can join the growing band of Otis Gibbs admirers. 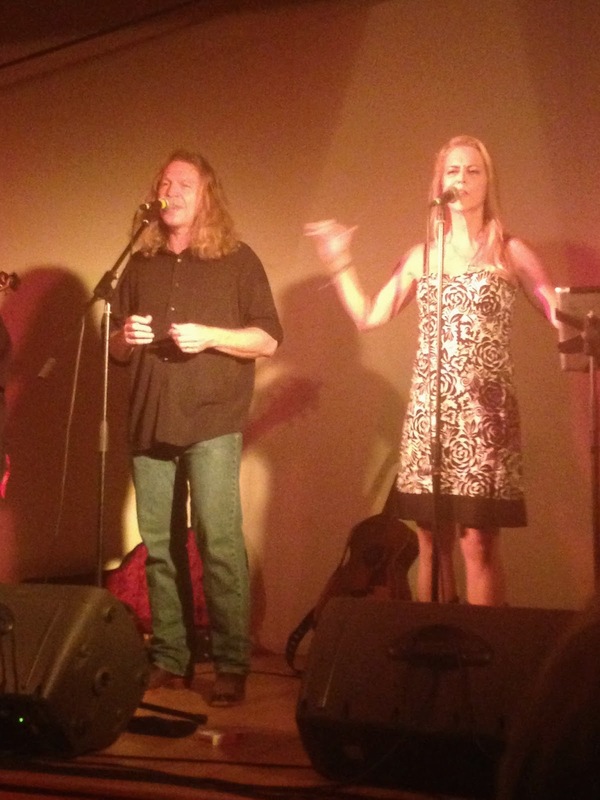 It was a privilege to be present at the final break up concert of iconic rock band the New American Troubadours. It was a tearful event of heartbreak, emotion and just a touch of irony. Try searching for the back catalogue of this band and you will draw on a blank. On the other hand if you check out the works of Robby Hecht, David Berkeley and Peter Bradley-Adams, the talents of three real ‘new American troubadours’ will be all be revealed. 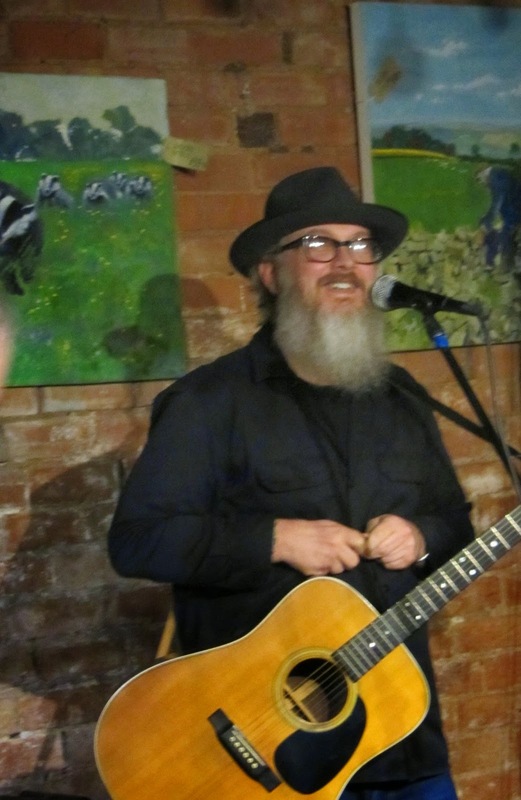 Jest aside, these three guys served up a highly entertaining night at the Kitchen Garden Café as they concluded a short UK tour which will probably see the end of the banner designed to herald their introduction to the UK folk/Americana market. 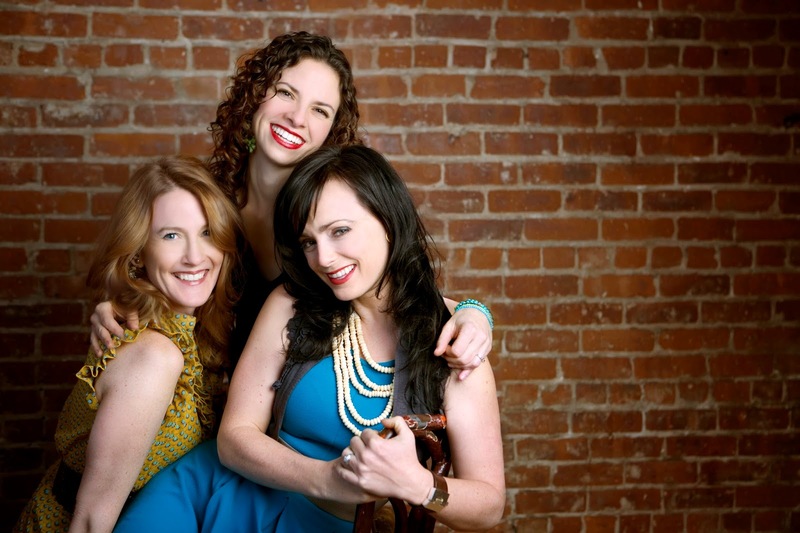 Essentially, all three are respected individual singer-songwriters back in the US with Robby Hecht probably having the highest profile in the UK as recalled from his tour with Carrie Elkin a few years back. For these UK dates, which included a combination of slots at the Maverick Festival, the guys have mixed and matched the order but all featuring a rotation of a lead role with invited harmony interludes. 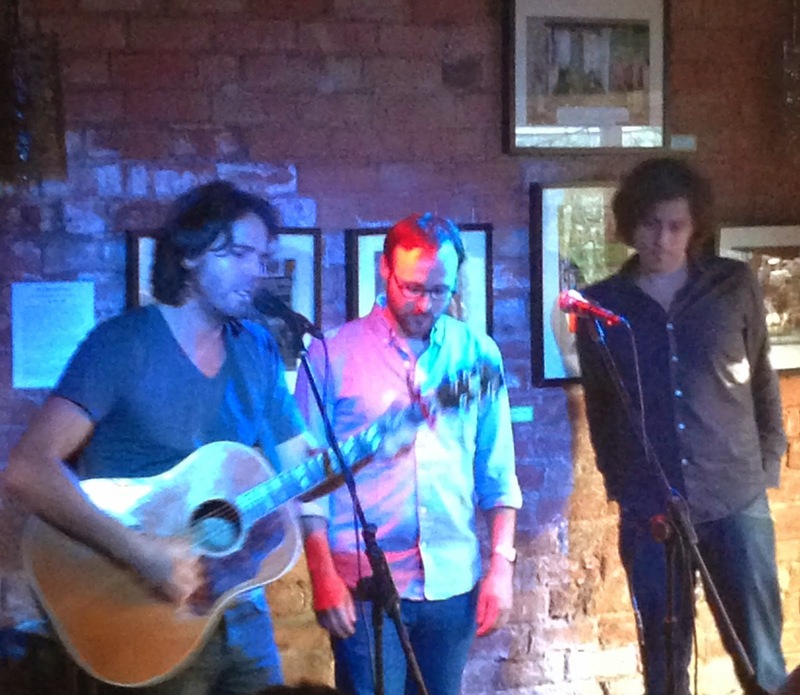 This evening the toss of coin meant Peter opened, David followed and Robby had the honour of leading the New American Troubadours into the distance. Well at least until the reunion tour. Peter is the softer sounding of the three vocalists with a capacity for injecting sensibility into his songs. An inhabitant of Birmingham Alabama, he was honoured to play in the city that was the origin of his home town’s name and spoke about some of the shared industrial heritage. In fact his most striking song from the opening segment was one about the steel mills of Birmingham which was preluded by some informed comment on its nickname of the Magic City and eventual frustration of being eclipsed by Pittsburgh as the premier US steel town. While this was my first introduction to the work of Peter, David Berkeley’s latest record THE FIRE IN MY HEAD gave an insight to what a fine literate and vivid songwriter he is. David was often the source of the trio’s humour and with his more extroverted style raised the level of the show in terms of tempo and audience reaction. From the excellent latest record, subject to a fine review on this site, we were treated to amongst others, ‘Back to Blue’, ‘Fire in My Head’, ‘Shelter’ and perhaps the stand out song from his set ‘Song for the Road’. The latter was met with some engaging invited audience participation and a stunning fluctuation of vocal tone. Having learned about his literary exploits we were further informed that the next record will be accompanied by an anthology of short stories and were previewed to a song believed to be titled ‘Wishing Well’. 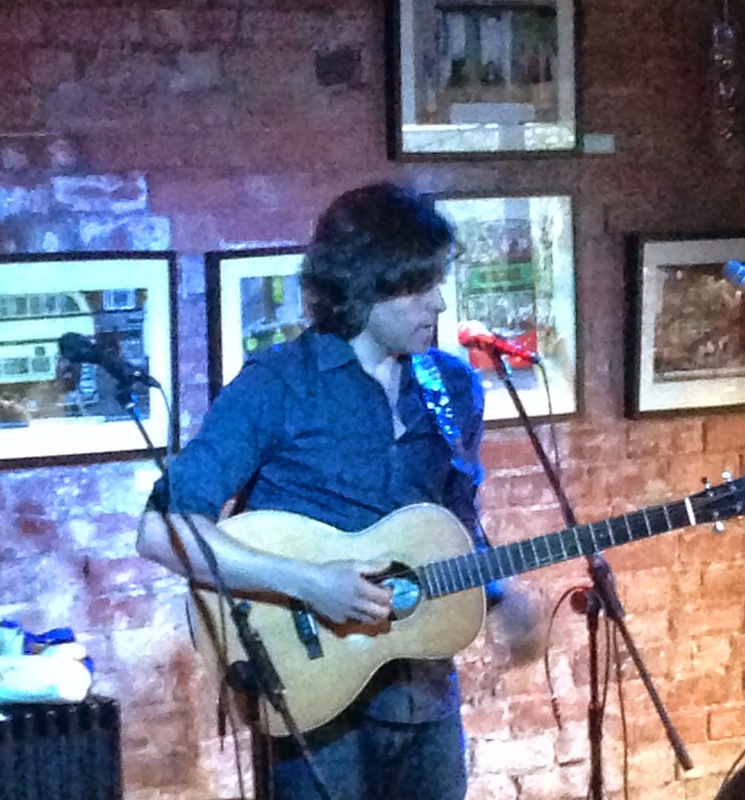 Robby graced the acoustic friendly surroundings of the café when playing here with Carrie Elkin a couple of years ago. While Peter has the sensitivity and David the word craft, Robby probably excels more in the tune and similarly to David had an album to grace this review site earlier in the year. The highlights of the self-titled album to feature in this “headline set” were the superb ‘Stars’, ‘New York City’, ‘Cars and Bars’ and the personally requested ‘The Sea and the Shore’. Although there was no Amy Speace or John Fullbright on this solo performance by Robby (they produced a beautifully crafted duet version last year), the shear pull of the song makes it one of Robby’s best. David had been itching all night to sing off mic and for the final song he cleared all the stands out of the way to lead a beautiful version of the classic Townes Van Zandt standard ‘If I Needed You’ in unison with Peter, Robby and a couple of guitars. This may have brought the curtain down on the illustrious career of the New American Troubadours but hopefully it won’t be the last we see of Robby Hecht, David Berkely and Peter Bradley-Adams in the UK. With iconic reunion tours always in vogue, the New American Troubadours may yet re-surface one day. Just remember not to search for their back catalogue. Thanks for giving a damn is the signature sign off phrase Otis Gibbs uses in an appreciation to people engaging with his music. It is partly this honesty and humility which has made Otis a hit on the UK/Europe folk Americana circuit over the last few years along with his capacity to skilfully master the art of storytelling through song. SOUVENIRS OF A MISSPENT YOUTH is the fifth release since Otis made a bid to take his music overseas and like so many of its predecessors is packed full of insightful and compelling songs. Once seen Otis is rarely forgotten, whether it’s his trademark beard, gruff vocals or sheer ability to captivate a room full of demanding ears. He can range from both cynical about the industry to appreciative about his fans but always ready to share his perceptive skills via his lyrical competence and the standard folk style medium of acoustic guitar. On record, and especially this latest release, there is more scope for development and there is a fair amount of country appeal on the new album with the increasing utilisation of fiddle and pedal steel guitar. All this adds spice to the core ingredient of Otis which is the construction of a song that will absorb into your head, heart and soul. While resorting to the ever popular crowd funding model to finance the record, Otis found that there were many faithful believers out there. There may have been a wait for this release, Otis previewed a number of songs on his tour last year, but this 10-song 38-minute collection is ready to be unleashed on a UK audience through another upcoming tour and a wider availability through physical and digital formats. A tie up with Thirty Tigers music management will enhance its promotion as even a record of this quality needs a nudge in the right direction. The record’s title is lifted from a quote Otis noted down when his father referred to the ailments of an arduous and torturous working life. This talent for spotting the artistic potential from everyday events has been the source of Otis’s craft since the days when he too had to toil for a living. ‘No Rust on My Spade’ is one of the record’s standout tracks and re-tells the exploits from his tree planting days. The personal stories roll on especially in ‘Ghosts of our Fathers’ where a neighbour’s loss in Vietnam is the subject. While opening track ‘Cozmina’ has its origins in picking up a hitch hiker in Romania. This opening number is an interesting development in Otis’s work as it begins with a minute and half fiddle solo with a significant pause before the vocals kick in. 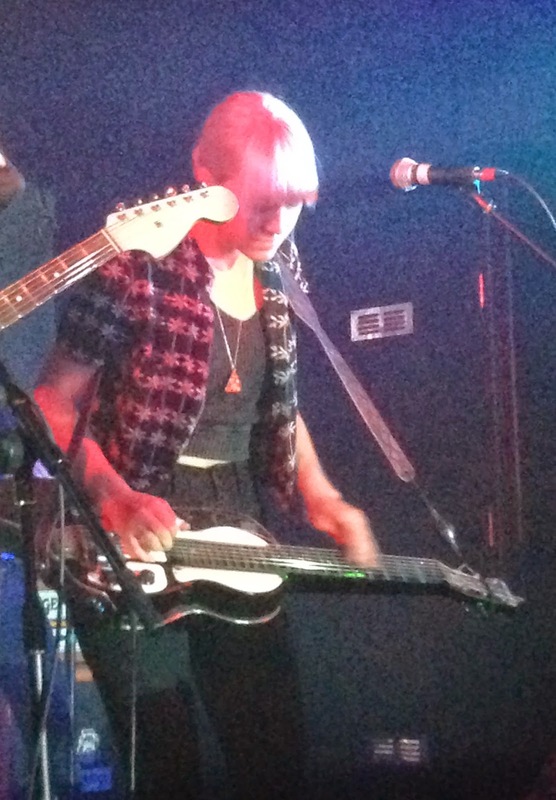 Along with the usual guitar accompaniment there appears to be a wider use of pedal steel especially in the tracks towards the end such as ‘Kokomo Bar’ and ‘With a Gun in My Hand’. 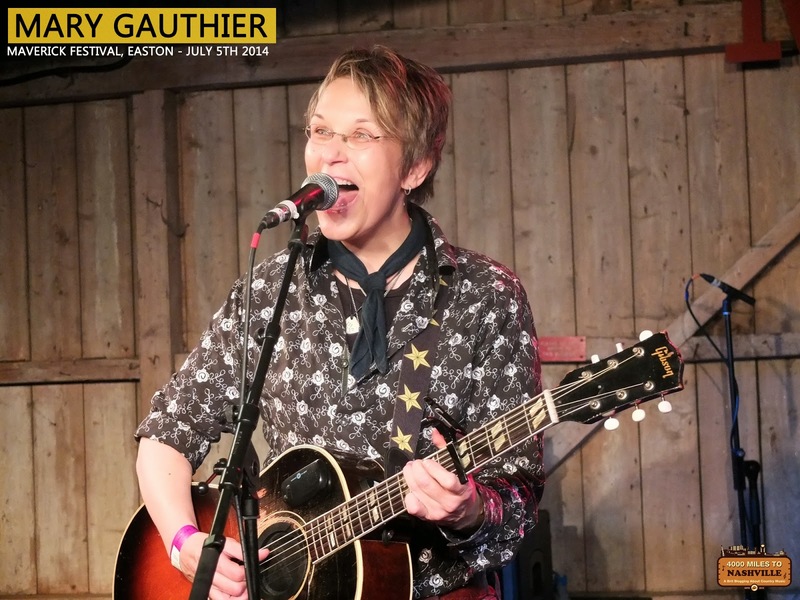 The traditional tones of banjo can be detected in ‘Nancy Barnett’ while one of the more upbeat numbers ‘It was a Train’ rumbles along in the vein of its subject. To take a break from extolling the virtues of Otis’s song writing, the excellent ‘Wrong Side of Gallatin’ comes from the pen of his long term partner Amy Lashley but possibly the record’s premier track is ‘The Darker Side of Me’. This riveting number has a Merle Haggard feel to it and it had to be checked it wasn’t a long lost cover. Sources confirmed the origin to be a camp fire story which inspired Otis to commit to song and once again confirming that listening and interpretive skills are core to great folk song writers. 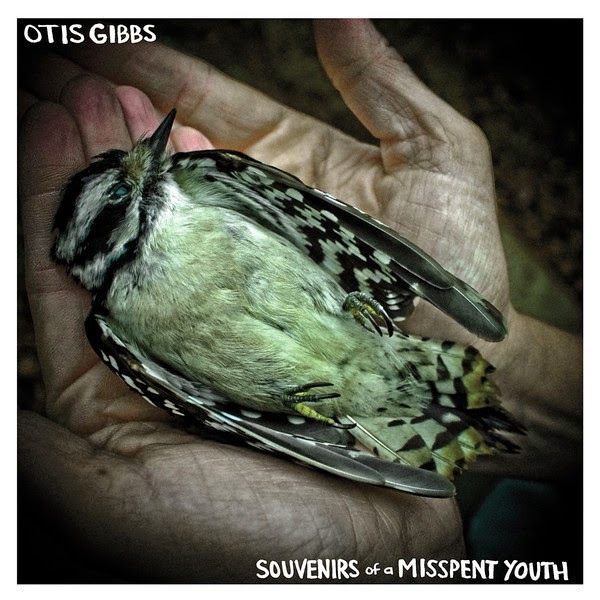 Otis Gibbs is an independent free spirit and a gracious sharer of his art while SOUVENIRS OF A MISSPENT YOUTH is the fine recollection of a cultivated troubadour. This record will have crossover appeal whether your specialism is country, folk, roots or Americana and like all his recordings is best consumed alongside a live show. Support both, and Otis Gibbs will thank you for giving a damn.